Extensions are quite an important thing for web developers. There are tons of Chrome Extensions for Web Developers you might be aware of, that increase the productivity when you are working with web development. But today we will specifically talk about Chrome Extensions for Web Developers available in Chrome Web Store that are actually very easy to install and even are freely available. 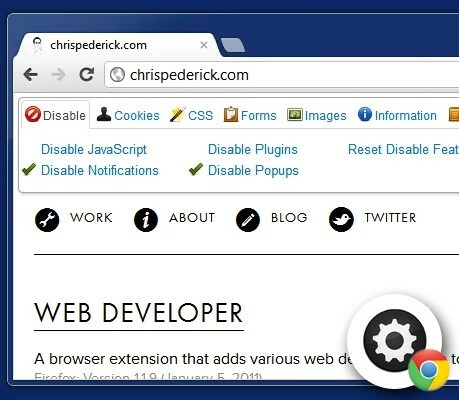 So check out these essential chrome extensions for web developers. 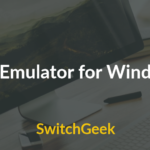 And now as we are suggesting you some of the most widely used and helpful extensions, they surely need to be the best in the business. Now you may remember, that once upon a time Firefox Extensions were quite a show, but as far as the customizability is concerned, Firefox now is very well replaced by our very own Google Chrome. When we compare it to Firefox, it offers you with a rather more speed and comparatively advanced developer tools. 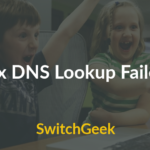 Now since it has been observed that people generally rely on Google Chrome as their web browser hence Chrome comes with an immense repository of extensions. Now if one has the best extensions, your daily tasks would definitely become less tedious than your other chores. So, here I am providing you with five of the mostly used and must have chrome extensions for Web Developers to make your task an easy one to fulfill. Although it was the official extension of Firefox but with increasing popularity of Chrome Extensions now Chrome has taken away its place. 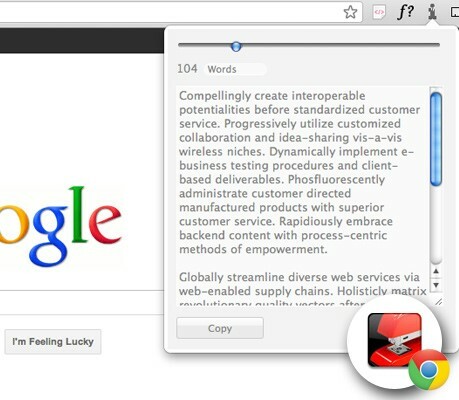 The Web Developer Chrome extension has become long time favorite for Web developers. Talking about its design it takes the form of a toolbar which features several boasting options like analyzing of web pages including its layout. It will also help you in testing codes and will make editing options fly for you. Now when you talk of Web developer as an extension that it allows you to tweak and test your web pages as well and this feature really highlights its potentiality compared to others. When we work on something we want that it should be easy to handle and efficient in functions and yes, this chrome extension is the one that comes with this feature practically. Though you cannot compare it features with those rich features of Firefox and also little of Opera but still it will not disappoint you as it has much useful ability like showing of hidden elements, populate forms, controlling the browser cache along with modifying and switching in between style sheets. Its main attraction can also be the toolbar button which you can add in it. I am pretty sure that you might have no idea that Chrome has its own color picker. But as for now, if one needs to avoid complication and want a simple web extension that is simple to handle and easy in practical use than choosing color picker tool is not a bad option. Though earlier there was Color Zilla popularly in use but if you had used it than you might have known that choosing the color for local files was not allowed by that extension but with Color picker that problem is solved too. Web developer toolbar chrome shows this tool instantly as your top right of chrome. You know what makes it stand out is that it will allow you to select color values from any of the web pages that you are using currently. If we talk about eye dropper in technical terms than we can say it is an open source web extension that allows you to pick colors for web pages. Even you can use this color picker to choose color picker from personal history. Just imagine how awesome will be that on the web page itself you will have an eye dropper. This is yet another Chrome Extensions for Web Developers can use for color design purpose. It has such a fascinating feature of this extension that it has grabbed users to use this extension leaving other simple and complicated ones like Ghostery, CSS Viewer etc. 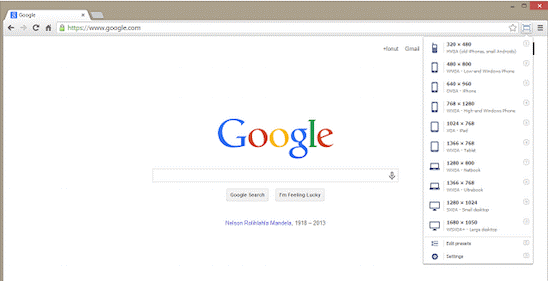 Apart from this being extension of Google Chrome it is used for Chromium as well. Trust me it’s a great tool and you will enjoy using it. It is amazing chrome addon for web developer. Now apart from talking just about the extension that lets you enjoy its feature lets talk about another extension which is regarded as the most useful tool for Web developers. Its best part is that it does the job that you are exactly in need of as it appropriately resizes your browser window that helps you with your responsive web designs. Focusing on its design you will get the icon in the menu bar that will produce the drop down menu allowing you to customize different window sizes. Particularly if one wants to test their layout that it how it will look in other browsers this can be immensely useful tool. The above extension as you saw was attractive in its feature but this one can be considered best in terms of its utility and those working professionally with web designing. Apart from just resizing the window you can choose from a list of popular monitor dimensions and even add custom sizes. You can even apply for resolutions so as to increase the accuracy. As being web developer, I know how much effort we need to put while editing web pages online directly. But such google chrome extension comes useful for developing and editing websites. You know its best part it can even perform without internet connection providing you an access that is quick. The resources will be saved or stored at one place in its extension directory. 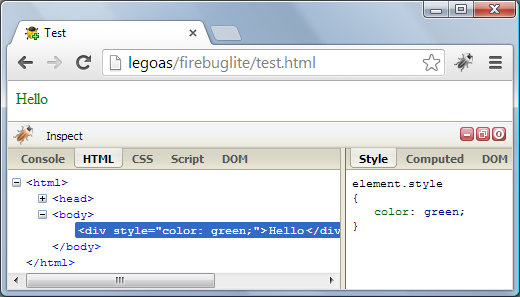 You can even activate the Firebug Lite for a particular domain so that when next time you will visit the page in that same domain it will automatically be active. You know by which name is this famous from?? Let me tell you it is an intelligent Text Generator the same that suits it perfectly. Not very famous but yet very effective extension for Chrome as it generates random corporate double speak that can be used as a filler text. 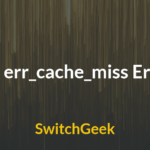 It is the one with corporate dent allowing you to have an easy access in order to create a default text when you need default text as a placeholder. This extension of corporate ipsum listed fifth on our Chrome Extensions for Web Developers list. If you use it you will observe that the filler content it generates is in word or paragraph. Acts as the speaker in corporate world making it more compelling and relevant in representation. You can even effectively use its installed base methodologies while you can proactively develop tactical services and network. The bottom line being it is just more than a name and worth a use. Well, now as you have had a read of the Top 5 Must Have Google Chrome Extensions for Web developers, it’s time for you Mr. Web Developer or Miss 😉 to have a test try of all of them. I am sure, they will not only make your task less tedious but will help you complete it quickly in a far more interesting way. So what are you waiting for? Go on, download and use them. So these are our chrome extension web developer checklist listed above. Write to us for any query, we will love to sort way for you. Just don’t forget to subscribe. Happy Web Developing! I already use a few of them. Got to know about some new.